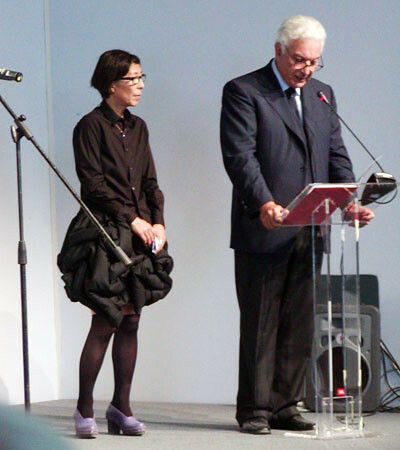 The woman in the picture above is this year's Venice Architecture Biennale director and Pritzker winner, architect Kazuyo Sejima presenting the Golden Lions awards ceremony on August 28th in a skirt from Comme des Garçons’s Autumn/Winter 2010 collection. This isn't the first time Rei Kawakubo's and Kazuyo Sejima's paths meet. 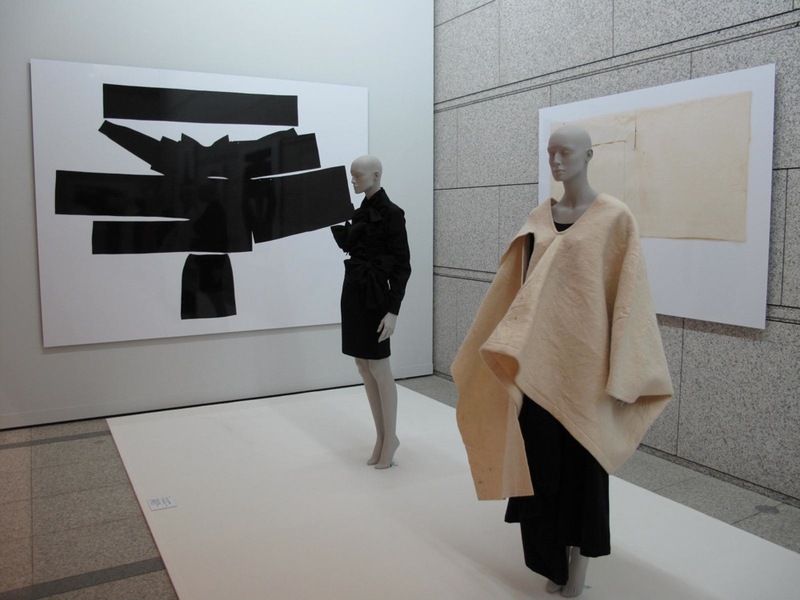 Last year Sejima designed an installation at the Museum of Contemporary Art in Tokyo to display selected Comme des Garçons dresses from the Kyoto Costume Institute collection. 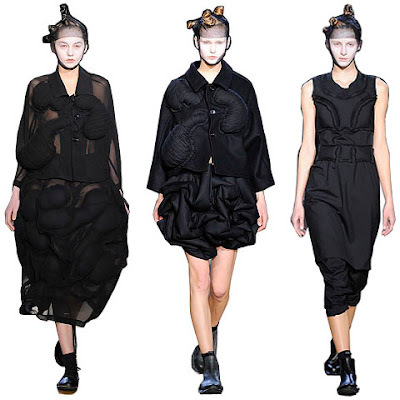 Kazuyo Sejima for Comme des Garçons on Big in Japan! this is the kind of posts that only a ..fashion architect could do! loved it! Yes, yes heard about it, read about it, but had not noticed the skirt she was rocking.. You are a fashion architect, and I love your blog. Its the best of both worlds! Great choice she made with that skirt.